SSO is an authentication and session facility that enables the user of a system to log in using one set of credentials to access multiple applications. The DeskAlerts development team has worked hard to deliver this capability to the system, with the new SSO function properly integrating with the Active Directory. The team knows that clients wanted proper Active Directory integration as well as the ability to assign publishers from Active Directory Groups without a need to create them. 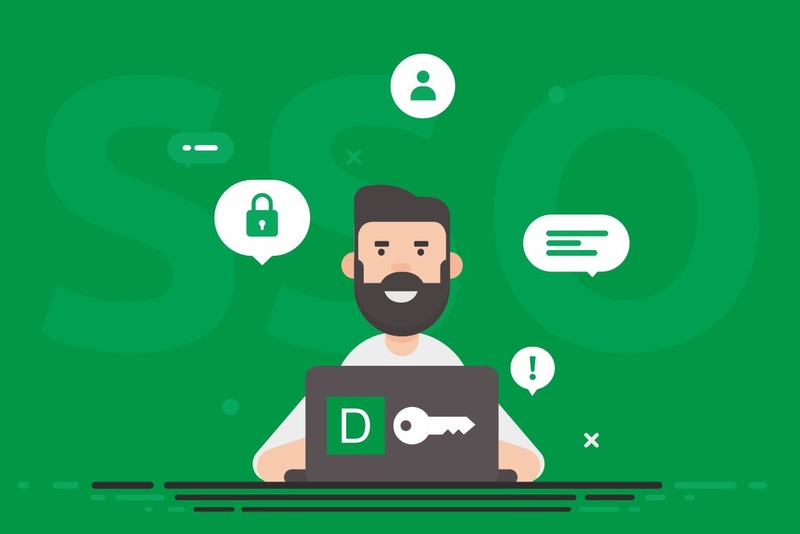 Previously, many users found the DeskAlerts SSO to be inconvenient as it required the user to create a publisher account using a user name and password from the Active Directory, and then edit a configuration in order to make it work. The new SSO only has one pre-requirement in order to use it, and that is enabling roles and features on the server (Basic Authorization and URL Authorization). Once this has been done, you can start using the new SSO. After you have installed DeskAlerts to your system, log in to your dashboard. From there you need to select “System Configuration” then “SSO Group” options and check the tab that says “SSO Enabled”. Next you need to make sure that you have an Active Directory listing to work with, so you need to synchronize the groups and organizational units (OUs) you want to include. When the Active Directory sync is complete, you need to assign Policies to Groups in the SSO listings. Then you must sync the Active Directory again, and go back to the System Configuration and find the following under SSO Group options. To start working with the new SSO you must assign “defaultuser” policy to one of the groups and make the users in that group System Administrators. You should therefore only assign this policy carefully and only to a small or important group or organizational unit. Now that you have assigned the first policy, you need to create your own policy and then assign it to a wider group using the new SSO interface. To assign a policy you must click on any of the Groups or Organizational Units and then choose which policy you want to assign to it. Once this is done, users from these groups will be able to sign in to the dashboard using their Active Directory credentials and are automatically assigned and created as a publisher. Policy interaction is a feature that allows you to have a publisher with two or more policies and they stack on each other – if the type of alert is the same. For example, if you have one Publisher and two policies where one policy is for regular po-up alert deliveries to 10 recipients and the second policy is for pop ups to five different recipients and surveys to 20 recipients. The publisher would be able to send pop ups to the 15 recipients total from both groups but won’t be able to send surveys outside the second group.